This book is awesome and funny, even though it was a little too long for some of the toddlers. If I use this book again in the future, I think it would be good to use props. We have a cardboard castle at work, as well as some of the things that Rapunzel throws out the window to the prince (socks, stuffed pig, etc.). I’ve got a crown on my head, on my head. Did you hear what I said? I’ve got a crown on my head! I love this book! 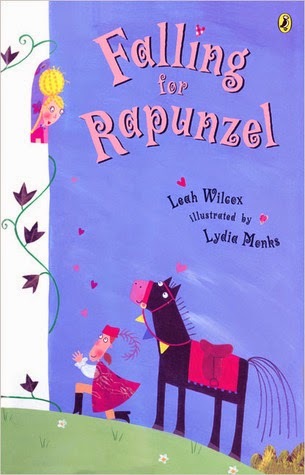 It's a great interaction storytime book, especially if the kids are a little familiar with some of the fairy tales (some of them knew a few fairy tales). 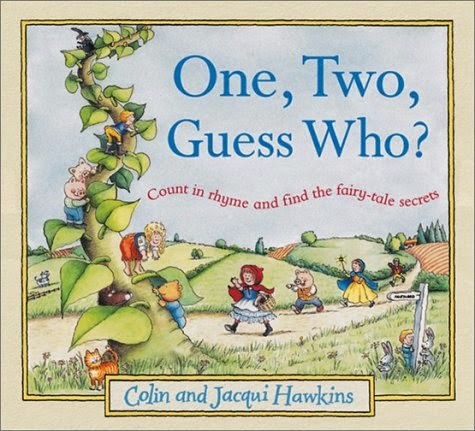 We didn't finish the whole book, but the toddlers liked guessing the answers. ____’s the next letter that will help him leap? I gave each of the toddlers a couple of alphabet letters on foam leaves with velcro at the back. Using the song above, I asked the kids to help Jack climb the beanstalk by putting the alphabet in order on the felt board. This activity was a little long for the younger ones, but the older toddlers liked going up to put their leaf letter on the board. I found this awesome fire-breathing dragon craft from this page. I changed the orientation of the mouth to the bottom of the cup because when air is blown from a wide to narrow passage, the air is stronger and lifts the "flames" better. The painting and glue-gunning were done by volunteers. Each toddler received a small ziplock bag with all their craft components. All they had to do was glue all the components and then add the popsicle stick at the end. The toddlers seemed to really enjoy this craft, especially since they were able to use the craft as a toy after they finished it! We had time for the parachute today! Yahoo! They really love this part of the storytime. I then handed out a fairytale themed colouring sheet and stickers, and blew bubbles for the kids.